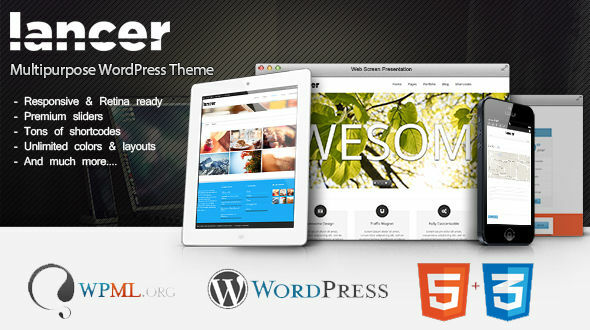 Lancer is a clean, fully responsive, retina-ready multipurpose WordPress Theme. It’s suited for business websites and portfolio site. This All-In-One package includes the awesome premium Layer Slider plugin, unlimited customizability, typographic options with over 500+ Google fonts, and tons of useful shortcodes and pre-configured page layouts.